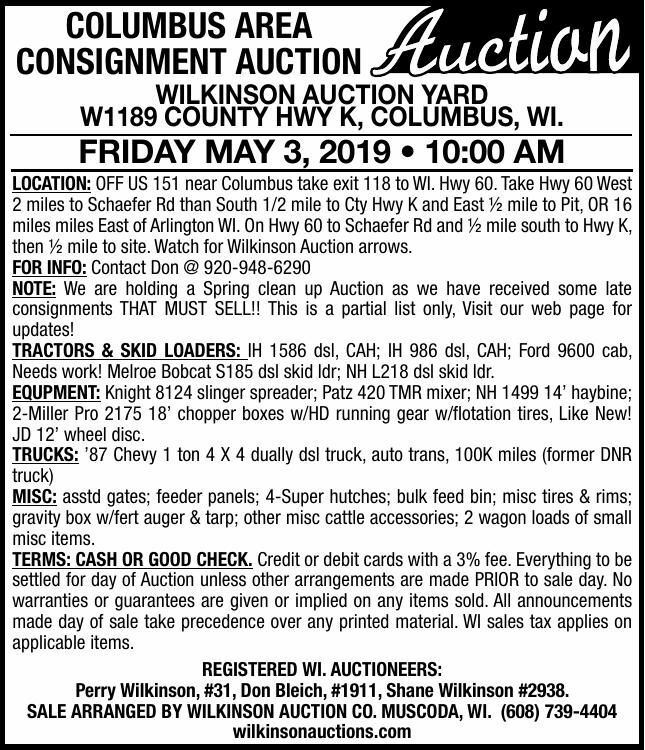 W1189 county HWy k, columbus, Wi. then ½ mile to site. Watch for Wilkinson Auction arrows. Needs work! Melroe Bobcat S185 dsl skid ldr; NH L218 dsl skid ldr. 2-Miller Pro 2175 18’ chopper boxes w/HD running gear w/flotation tires, Like New! over any printed material. WI sales tax applies on applicable items..
Perry Wilkinson, #31, Don Bleich, #1911, Shane Wilkinson #2938.